Gaut's Interlace is an insular form of the Borre Style appearing as a ring-chain motif. "Gaut made this and all in Man"
Gaut is the first Viking artist whom we can recognize by his own name. 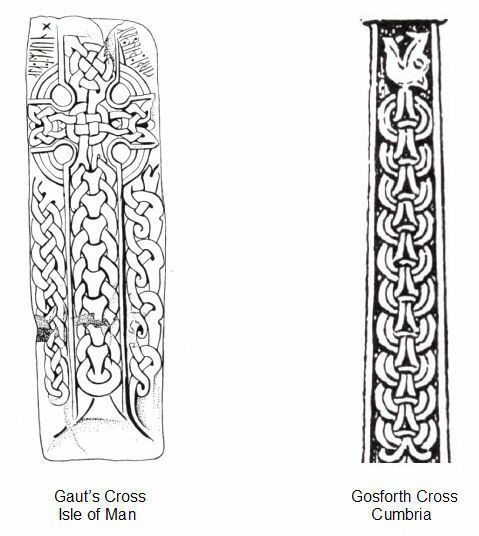 Gaut's Interlace also appears on the Gosforth Cross.